When you take pride in the appearance of your home and the quality of its construction, it’s understandable you want to have as much as possible under your own control. Even so, there are certain home projects that are better left to a professional. It isn’t always a question of your ability, either. If you only have evenings and weekends to work on the project, you could end up with a mess in the house for longer than your family is comfortable with. If anything goes wrong, a professional will most likely charge more to redo the work. Safety is an even greater concern. Some jobs might seem fairly straightforward, yet still carry the risk of serious injury or even death. In certain cases, faulty repairs put the lives of your entire household at risk. To keep your costs down and protect your family, here are 10 projects to leave to the pros if you’re a beginner DIYer. It may seem obvious that electricity is something an untrained do-it-yourselfer should leave well alone, but when the job seems simple, it’s tempting to try to handle it yourself. For your own safety, resist that temptation and call an electrician for anything more involved than replacing a blown fuse. This includes dealing with a dead outlet, a frequently tripping breaker or a switch that’s stopped working. Appliances or equipment that needs to be wired in, such as a generator, should also be taken care of by a professional. 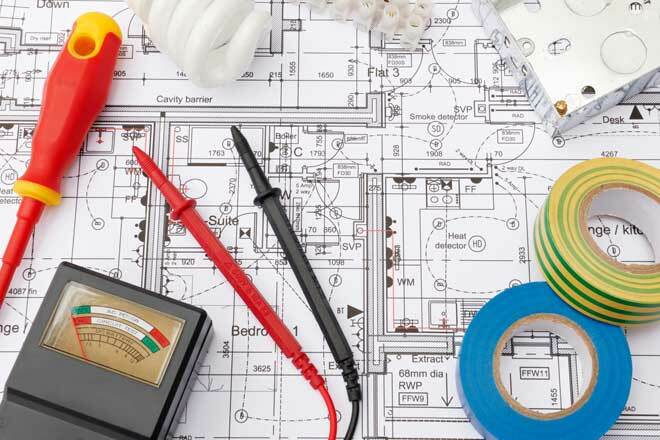 More complex projects, such as wiring a home addition, typically require a permit and inspection. Ignore these steps and you could end up with a fine. Errors in any of these jobs can cause a fire or even change the polarity of the wires and cut power to your whole house. Electrocution is also a very real risk. One day you might notice your gas stove, water heater or clothes dryer isn’t working the way it should or has stopped working altogether. Instead of tinkering with it yourself, don’t use the appliance until you can have a professional check it out. 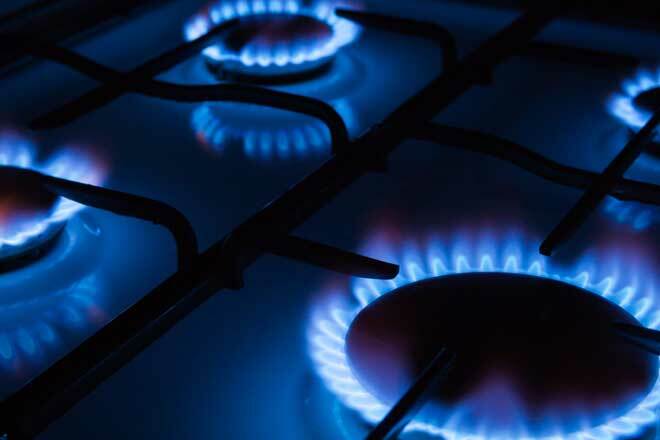 Malfunctioning gas appliances put you at high risk for natural gas or carbon monoxide (CO2) poisoning. Although you can smell a gas leak when you’re awake, you may not notice it when you’re asleep. Carbon monoxide has no odor, so you won’t know it’s there until you experience symptoms such as a headache and dizziness. In both cases, if the leak happens while you’re asleep, you can fall unconscious and die without ever waking. As if that weren’t bad enough, a malfunctioning gas appliance can potentially cause a fire or explosion. Unlike electricity or gas, water from a leak is unlikely to seriously harm you. That fact makes plumbing seem deceptively simple, but in reality a lot can go wrong if you don’t handle it correctly. While you can loosen minor clogs and even replace faucets own your own, leave the rest to a pro. Breaking or accidentally loosing a pipe can result in flooding that destroys your floor and furniture. If not removed, the lingering moisture can cause rot and mold. Incorrectly installing a pipe or fixture, such as a toilet, can cause leaks that aren’t immediately noticeable. Over time, these leaks cause rot behind your walls and damage the wood structure of your home. Your forced-air heating and cooling system relies on ducts to efficiently carry warm or cool air to your rooms. Anything that goes wrong with these ducts leaves you less comfortable and impairs your heating and cooling system. Patching a small hole in a duct is something you can handle yourself, but anything more requires a professional. 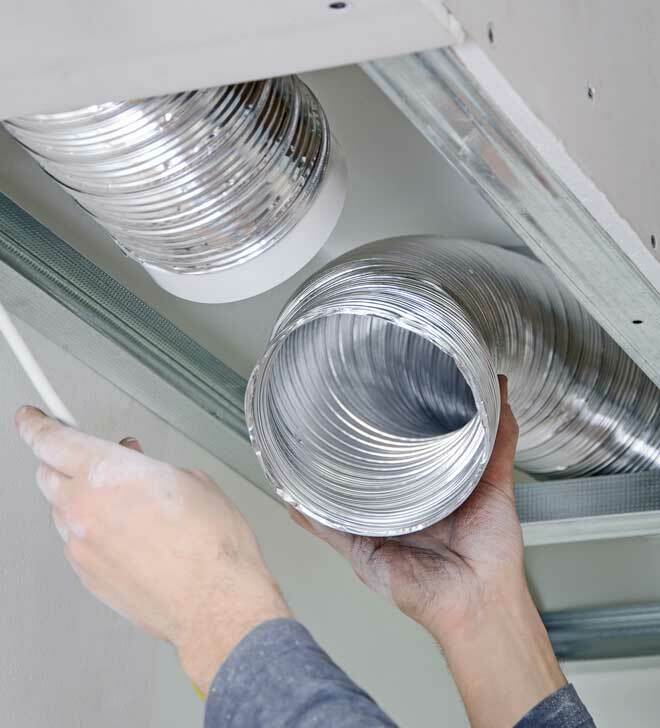 Using the wrong type of duct reduces your system’s energy efficiency. Undersizing the ducts restricts airflow, placing damaging strain on your system’s components and causing annoying noise. Incorrect installation or repairs not only cut the system’s efficiency, but also worsen your indoor air quality by allowing the ducts to draw in air contaminants from inside the attic and walls. 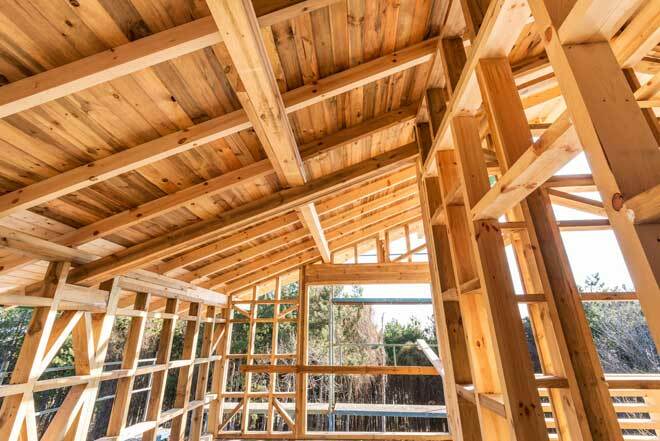 A building’s wood structure acts as its skeleton, so any changes here affect the whole building. 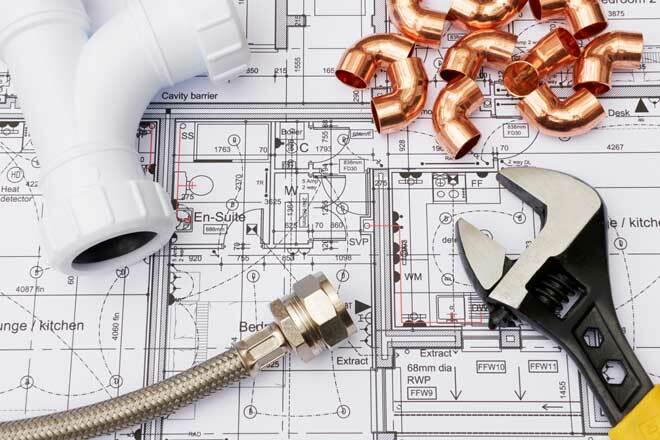 Changes must be carefully planned with consideration for how they’ll affect the roof, weight-bearing walls, plumbing, wiring, and other components of every room in the house. If you’re considering knocking out a wall, adding a balcony, building a new room or any other project that involves the building’s structure, at least consult with a professional first. Windows, for example, look easy enough to install, but incorrectly installation can cause drafts and leaks, so hiring an expert is worth it. For major remodeling projects, working with a professional is a must. To start with, they can let you know what part of your project requires a permit and what’s required for the job to pass inspection. On a single-story home, replacing a shingle and repairing a damaged gutter are both simple DIY jobs. 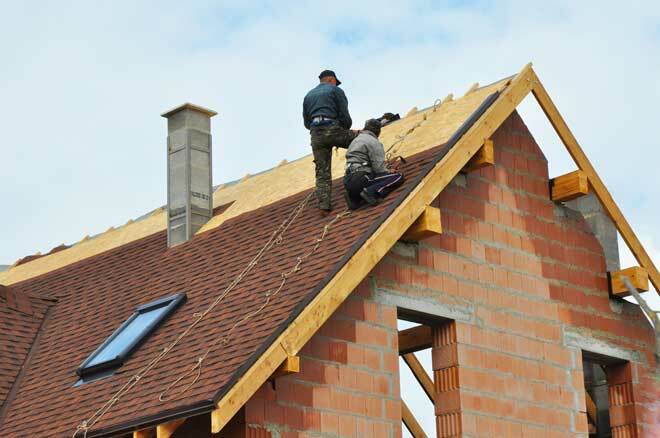 If you have large sections of damaged roof, a hole or a leak, however, call in a professional. Flawed roofing repairs can allow leaks to develop. Leaks encourage mold and rot. They dampen your insulation, making it less effective so your home doesn’t stay as comfortable and you end up with higher heating and cooling bills. Worse yet, water near your wiring or outlets can spark a fire. On homes with multiple stories, even simple repairs carry the risk of potentially fatal falls. These repairs should be left to a professional with proper safety equipment. Laying new parquet or carpet seems like it would be a perfectly safe DIY project. While it’s true an imperfect flooring job probably won’t put you in the hospital or damage your whole house, laying flooring is more complex than meets the eye. First of all, you can’t be sure what you’ll find when you tear out your existing flooring. There could be warped or otherwise damaged hardwood flooring under your carpeting. Under that is the subflooring, which might be cracked or rotting. Either of these issues will have to be handled before you can lay new flooring. 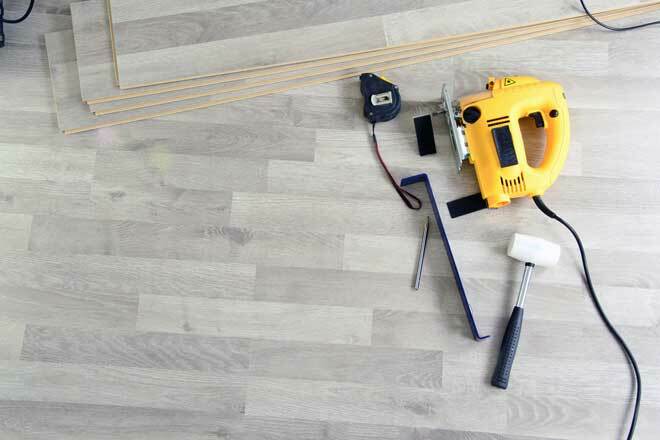 Beyond that, multiple steps are involved in the process of laying flooring and if any one of them is done incorrectly, the whole floor will have to be redone. Like installing flooring, laying tile in a bathroom, kitchen or elsewhere looks fairly simple, but there’s plenty of room for things to go wrong. The subfloor or wall must be properly prepared. You’ll need to choose the right type of mortar for the type of tile you have and apply it correctly. The tile must be laid straight. 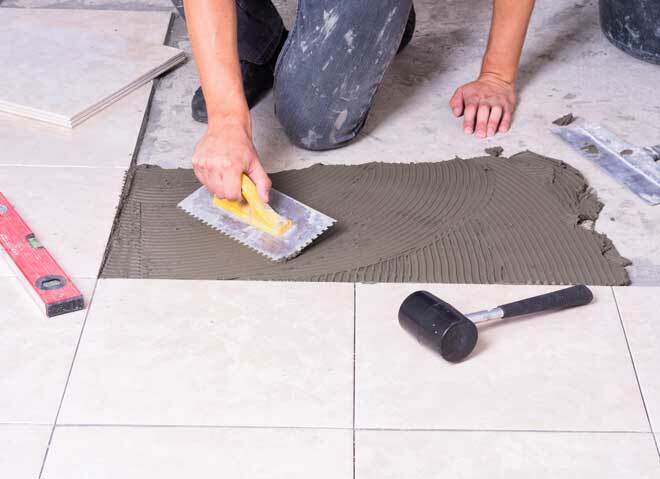 If these steps aren’t performed correctly, the tile could fail to adhere, or crack or break. Grout, too, requires care so it doesn’t end up splotchy and discolored. A professional will be able to do the job flawlessly, so your tile looks good and lasts for years. Laying a garden path, building raised flowerbeds or installing a pond are no problem for the average gardening enthusiast. Where it gets tricky is when you’re dealing with medium or large trees or shrubs. Trees and shrubs expected to grow for years and reach large sizes often have special planting requirements that must be met if the plant is to survive. Do the job wrong and your tree or shrub might never take root. Removing trees is also a professional’s job. If not correctly controlled, a falling tree or tree limb can seriously injure someone or damage your house, car or nearby utility line. 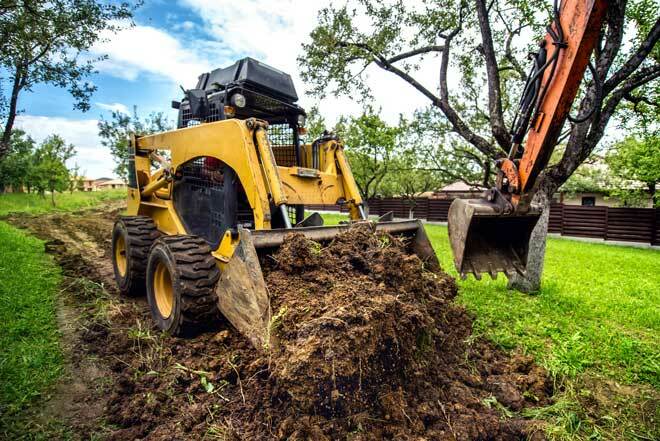 Stump removal carries the risk of damaging underground pipes and wires. Installing an inground pool is a complex job, there’s a lot that can go wrong, and mistakes can be costly. Choosing the wrong location can result in higher maintenance bills or even damage to the pool. In addition, many DIYers prioritize appearance only to end up with maintenance nightmares later. Finally, there are safety features that must be included for the pool to pass inspections. The ability to handle minor home repairs is a great skill to have, but it’s just as important to know when to leave things to an experienced professional. Your project will get done faster, more safely, and with less mess and hassle.